This promises huge savings for immigrants sending money home and access to tools for the 2.5 billion adults who do not have bank accounts. It will also allow for microtransactions that were previously cost prohibitive, like tipping for media you like. There are a few nice features included, like the fact that Wiper uses a different wallet ID for each transaction, but all wallets are still synced to your Wiper username. On iOS, Wiper uses Touch ID to validate payments. There is also the option to denominate all bitcoin amounts in local currency. There’s just one problem, though. If you don’t already have bitcoins, there’s no way to buy them from Wiper. To upload bitcoins into my Wiper account, I had to transfer them from my Coinbase wallet. On the other end, someone in a country like the Philippines or India might not have an easy way to turn bitcoins from Wiper back into money she can use. Anybody who’s seriously concerned with security wouldn’t be using Wiper anyway. As of now, you have to take the company’s word that its closed-source communication software is properly encrypted and messages are actually deleted when they’re wiped. Carrelli says that Wiper will release a “whitepaper” from a third-party auditor in the next year. Still, the concept is simple and alluring. If you’re already using an app to call and message your family back home, why not add an easy way to send them money as well? In this case, despite its downsides, the bitcoin protocol has the advantage of potentially being cheaper than Western Union and similar services, as well as cutting through local regulations. Wiper has a 12-person team at the moment, based in New York, and it’s been funded by Michael Choupak, the former Intermedia CEO, who has contributed $2.5 million in seed funding. GetGems Messenger is the way to go if you want a messenger with bitcoin implementation with end to end encryption, its going to be rewarding users for participating within the network and will have a whole attention economy feature later this year. 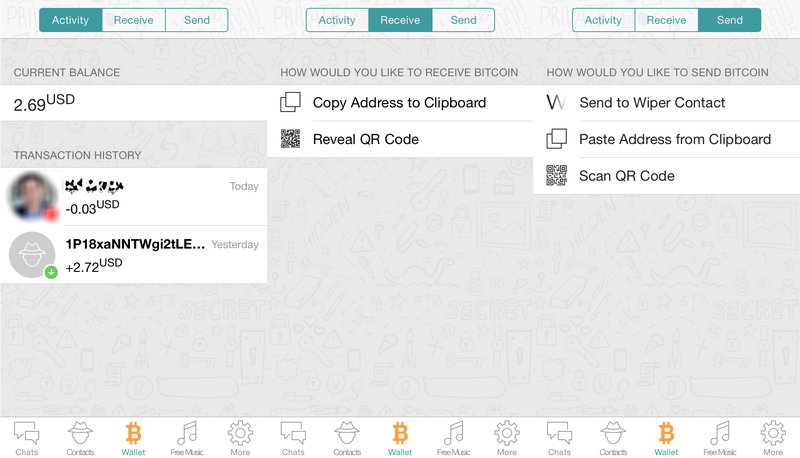 It’s get It’s even easier to send btc, although its new and not complete yet it already has more to offer than Wiper and compatible with Telegram aswell.